Roll the dice, claim the prize! Roll the dice, pick the right combination, and score more points than your opponent! Weigh your options and take thrilling chances in Yatzy Arena! Yatzy Arena is a game of luck and quick decisions. 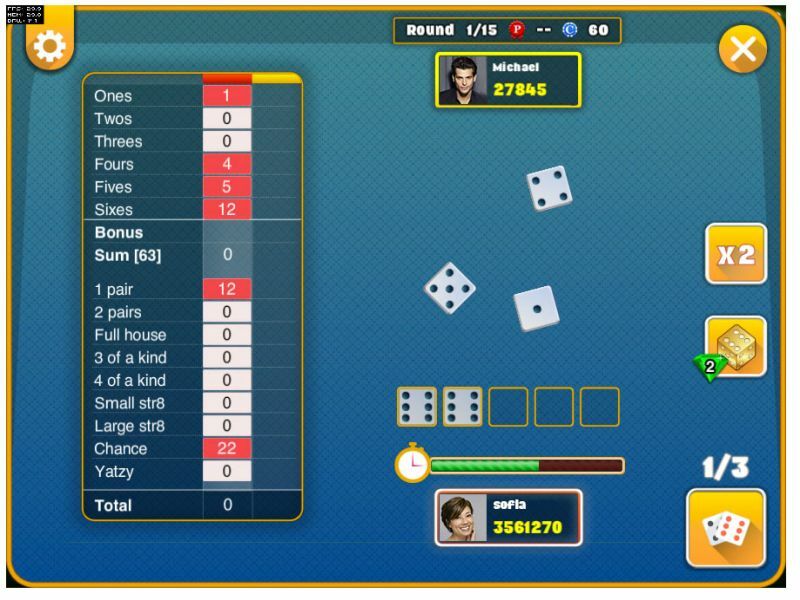 Throw the dice in this multiplayer dice game and piece together the highest total score. You can play against 1 or 2 other players. Roll the dice three times per round and pick a combination to try for. 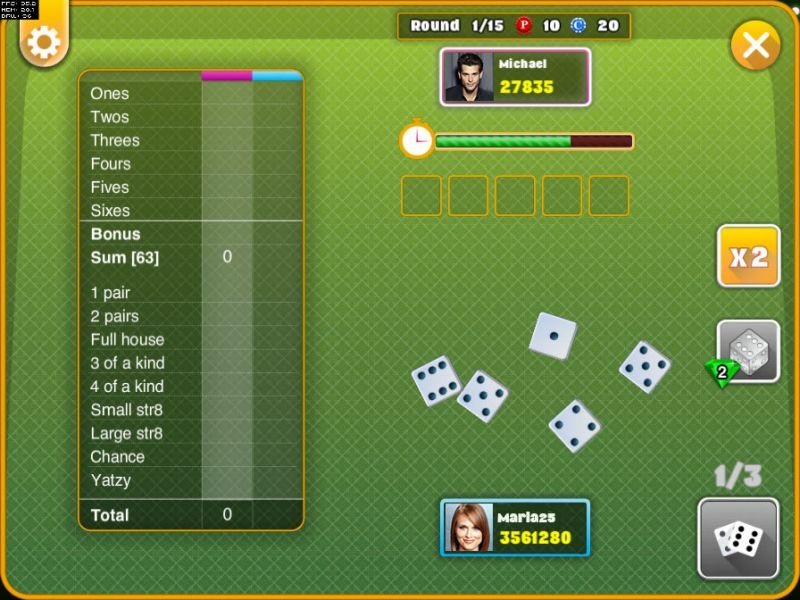 Will you be able to select the right dice and complete the combination you're aiming for? The better your throw the more points you can put together. Will you choose a low risk combo or take your chances with a high-power combo? Put the dice in the placeholders at the bottom if you want to keep the outcome. Throw the rest back in the cup and prepare for your next roll! Check the panel to the left to see what combinations are left, how many points your roll will score, and decide which combination you’ll try to hit next. There are various game modes to try, which introduce new and exciting features such as 2 opponents, an extra placeholder, the golden dice power-up, and more! Have you mastered the art of Yatzy? 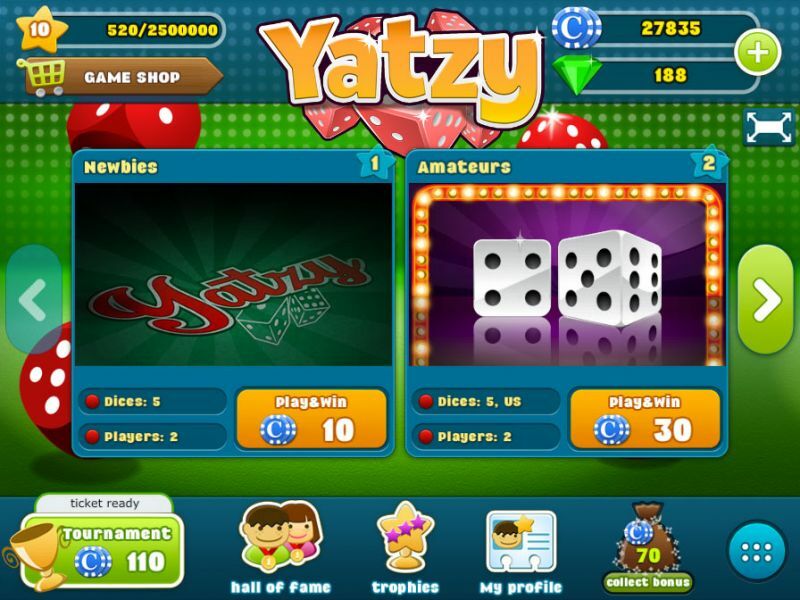 Take part in our Yatzy Tournaments and claim the Bronze, Silver, or Golden Trophy! The Hall of Fame is waiting for you! Will your name make the leaderboard? Play Yatzy on every device and platform preserving the same account and gaming experience! Governor of PokerGo back to the roots of this exciting game and play poker against the old western pros! Governor of Poker 3 FreeYour quest to become a poker pro will take you on a long journey through Texas. From poker rookie to the high-roller VIP of the Gold area! Governor of Poker 2 Premium EditionProve that poker is all about skill in this exciting Wild West poker adventure!